A coffee maker is a coffee maker is a coffee maker, right? No, not in the slightest, especially if you ask my husband who used to be a Regional Coordinator for coffee at Whole Foods. You have to have the right coffee, the right grind, and the right maker! I didn't realize this until I met Fred. 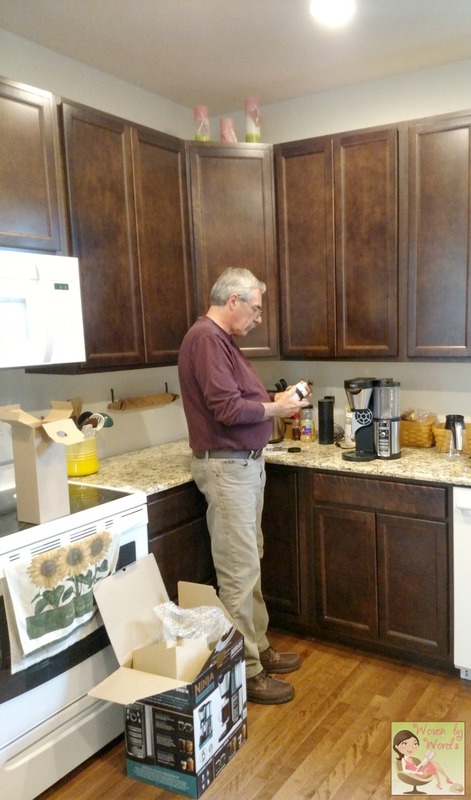 Then it turns out my dad has a thing about the latest and greatest in coffee makers! Not kidding. I mean, I knew the guy like his daily pot of coffee, and that if there was a new electronic gadget out he had to be one of the first users, but coffee makers? Who knew that would be a talking piece? I found out when we moved from MN. Go figure. So, a couple weeks ago, they came to visit us at our new home. They hadn't been here yet, and I figured it was time to pull out the Ninja Coffee Bar I'd gotten for review. I knew he and Fred would both appreciate trying it out. My dad more so for the experimentation of a new shiny toy, and Fred for the technicalities of how coffee is brewed. I think we made 2 pots of coffee and 3 single cups in the span of a half an hour. Once I had my Bar to myself, I tried a couple of specialty drinks. I'm so ready for the warm weather, I knew I wanted to make a couple cold beverages. The first one I made was the one I spied when I opened the recipe book the first time. It was the Sweet Sofiaccino...named after Sofia Vergara who is promoting the Ninja Coffee Bar. 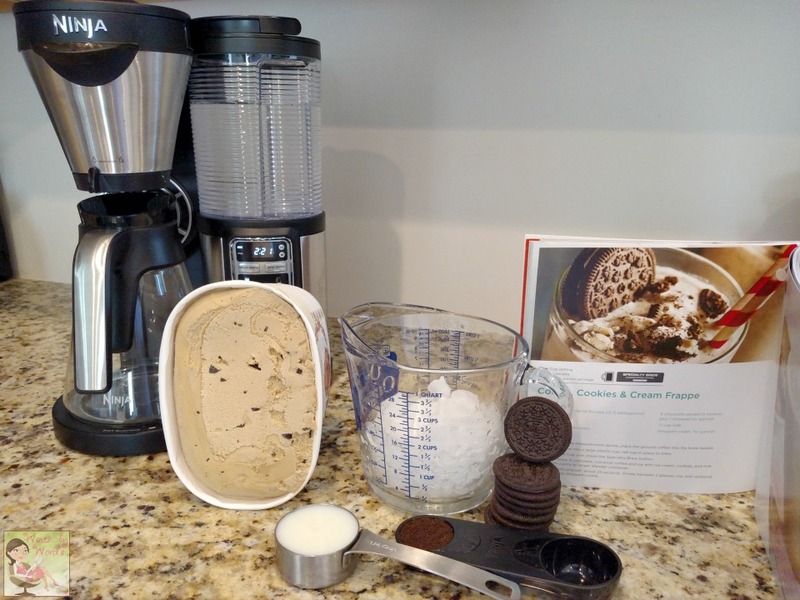 I was thrilled with how easy the recipe was to follow, and the ingredients are ones you'd typically have on hand! I'm not sure about you, but I always feel a bit intimidated when it comes to making drink recipes. And let me just say about the recipes, as a side note, they have food recipes as well! When you make one of the Ninja Coffee Bar recipes, it tells you which cup to use as well as which brew to choose. I felt like with the Sweet Sofiaccino, I could've sipped on it until the cows came home it was that delicious! Now, I'm not sure if I've mentioned this before or not, but before if I had wanted a specialty coffee I would've had to drive almost a half an hour into town to get one. Truly, that's just never an option for me. I work from home, and I'm not going to drive that far to get a specialty coffee. So, I've always just ended up having coffee with creamer at home. At least until now. Now I can make pretty much anything under the sun that's coffee related. I don't have to drive anywhere, and I save money. That last piece is what I love the most! 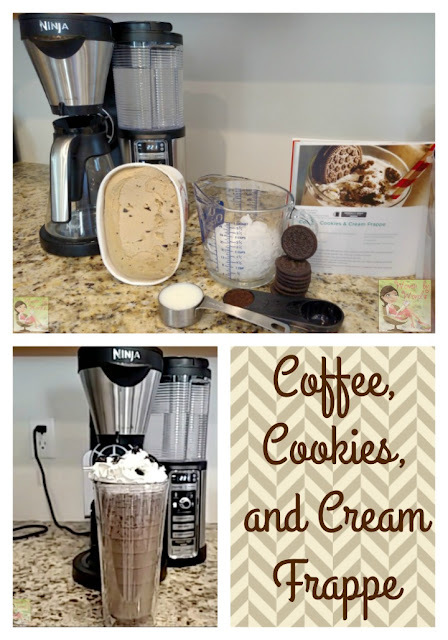 The second drink I made was the Coffee, Cookies, and Cream Frappe. My favorite warm weather drink is the frappe. Making them at home now for myself...glorious!!! I'm SO thankful one of our friends got us a blender for our wedding because it's totally coming in handy. This treat I could've sucked down all at once and not come up for air if I could've. The cookies ground up, the ice cream...you really can't go wrong! 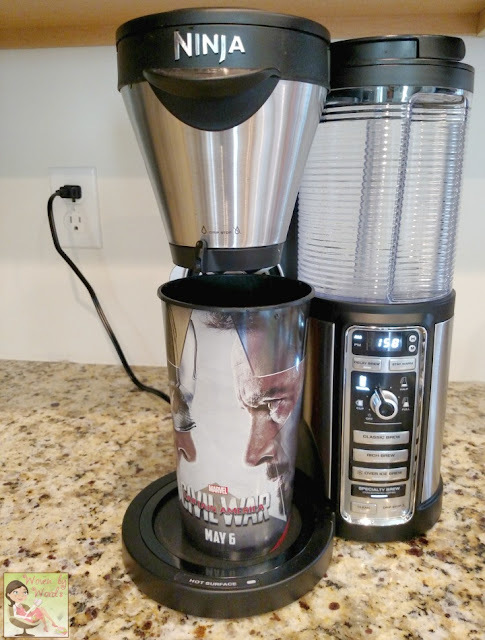 With the Ninja Coffee Bar, you get a Hot & Cold Insulated Tumbler and....AND a frother! There must be angels singing somewhere! That's the tumbler above. I had too much whipped cream on top with cookies to add the lid. Not a bad problem to have if I do say so myself! I'm looking forward to sitting on the porch drinking iced coffees through the summer, and enjoying my days. I definitely want to try some of the food recipes they have. Be sure to follow Ninja Coffee Bar to see all of their delicious recipes: Facebook, Instagram, Twitter, Pinterest, and YouTube. Big shout out to NinjaKitchen for making my like much more delicious! Check out my most recently tried recipe, the Iced Caramel Macchiato! What is your favorite specialty coffee? Thank you for this review. I have been on the fence for some time now over whether or not to purchase a Ninja Coffee Bar. Both my husband and I are big coffee drinkers, and I love some of the iced and dessert type of coffee drinks you tried out. I love my single cup coffee maker but I may have to check out the Ninja Coffee Bar. So true! "the right coffee, the right grind, and the right maker" make a world of difference! The dessert copies you've whipped up look delicious! I love to have my morning cup of coffee it is a must for me. And I also love coffee as treats like this, I am sure the flavors of the coffee and cookies are yummy! Wow! A Ninja coffee shop right in your kitchen. Awesome and it looks mighty fun too! I'm not a big coffee drinker. But my hubby is. He will love this. 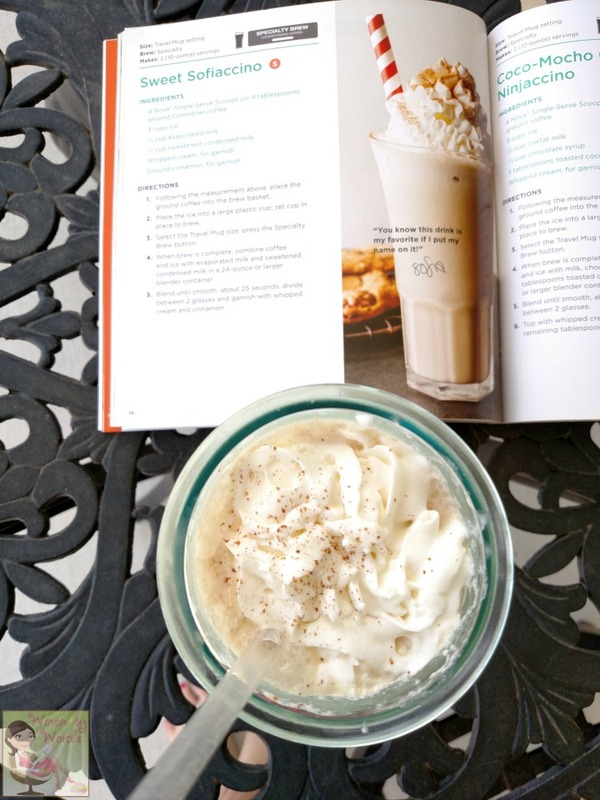 I would like to try a couple of the cold beverage recipes! This looks amazing! I spend way too much on iced coffee drinks from the coffee shop. I need one of these in my life! i have always wanted a ninja. a friend of mine has one and she creates some of the best things with it. looks like you do too. haha. i love it. nice photos. I love that not only can you make coffee in different sizes but you can also make cold drinks. The ones with ice cream sound so good. 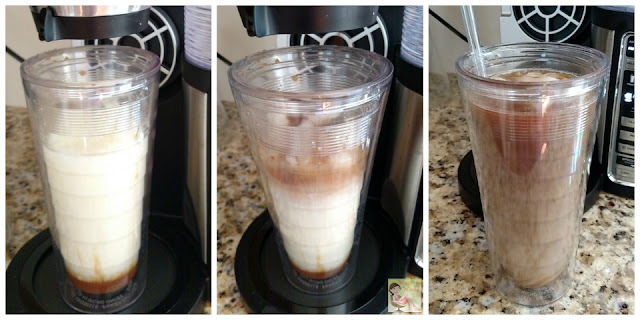 I just love how many different types of coffee drinks this machine can make! It's very cool! I love iced coffee drinks too! I love Ninja products and use them! The Ninja Coffee Bar does seem terrific and I like the variety of coffee drinks that we can make. It looks like fun too. I'm not a coffee person - so I don't have a favorite speciality... 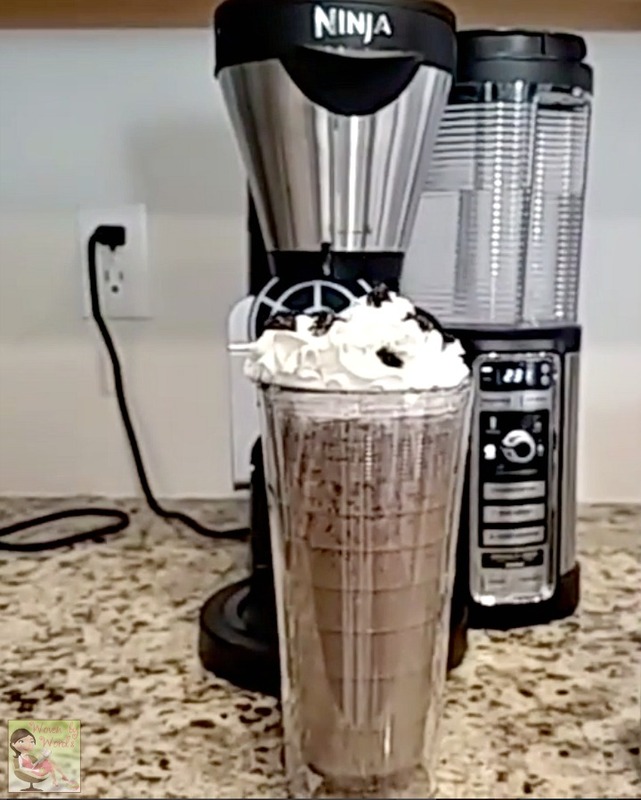 But that cookies and cream frappe looks Delicious!!! I am a coffee freak. I just can not justify the cost of the specialty coffee though. I guess I am cheap. I have had them before, and was amazed at the price. This machine would solve the problem.. since the ingredients are there on hand, I wouldnt be paying an arm and a leg for a nice treat! 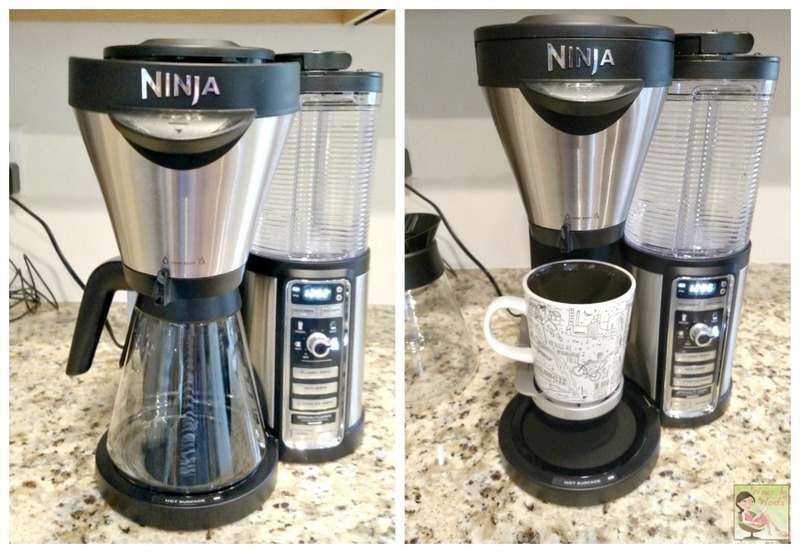 I have wanted one of these Ninja Coffee Bars ever since they came out. 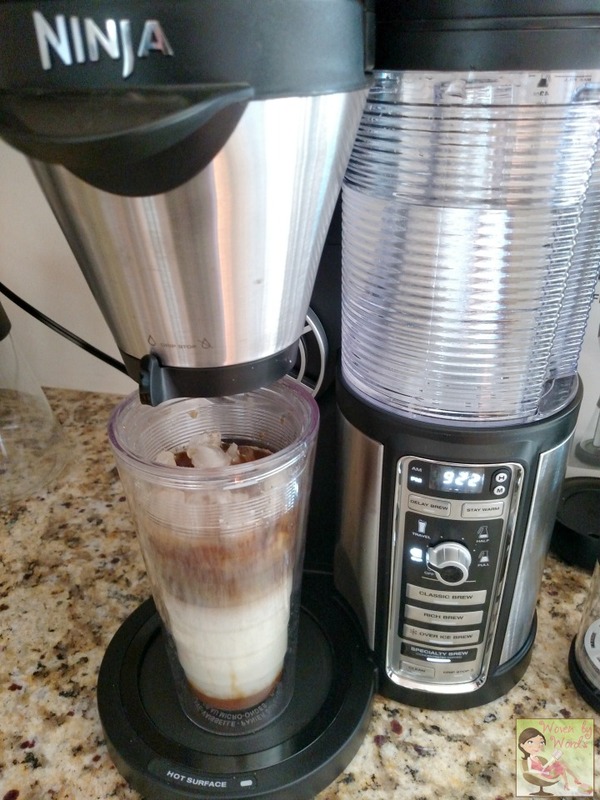 I love coffee and could make so many great drinks with this small kitchen appliance. I would also save money by making specialty drinks at home vs. going to the coffee stands/barista. 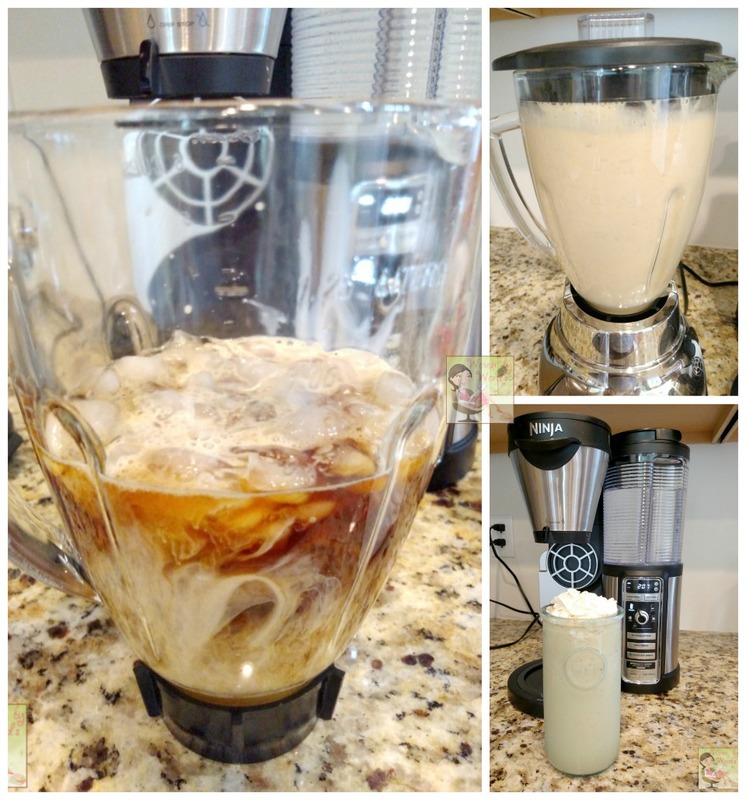 Man this is so cool, I have had ninja products in the past, but this is amazing, I love that you can make so many things with it, cold, hot, shakes, it is great. I love all the gadgets that come with the Ninja Coffee Bar, especially the frother. I like watching Sofia Vergara's ad for this appliance.